Image size: 16 x 14.5 cm. 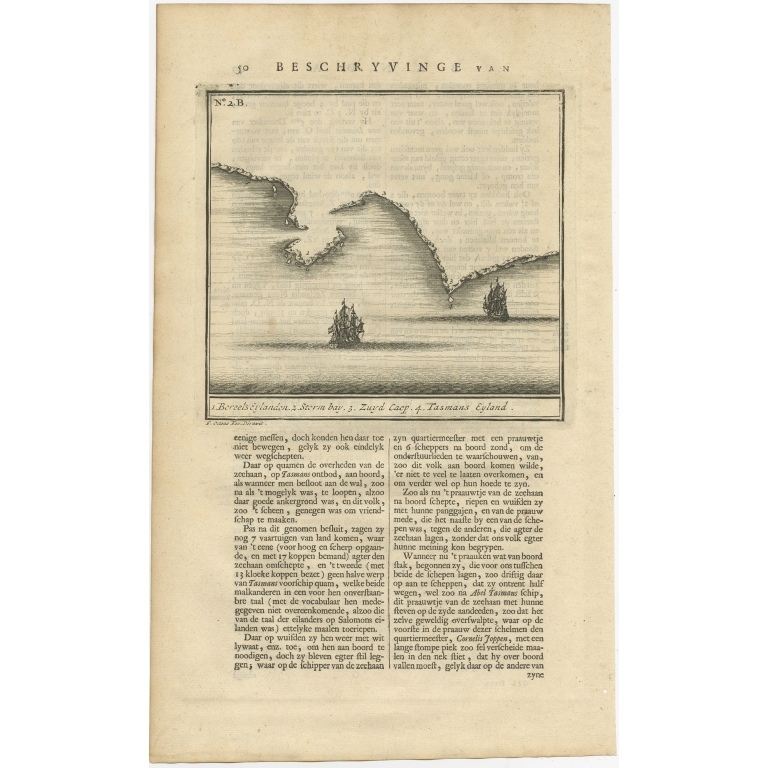 Description: Antique print titled '1. Boreels Eylanden, 2. Storm Bay, 3. Zuyd Caep, 4. Tasmans Eyland'. 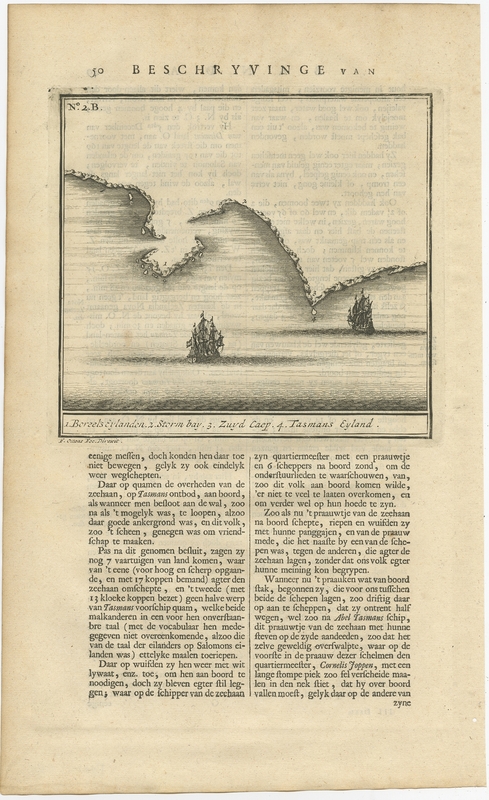 Antique print of Tasmania, with two Dutch vessels off shore. This print originates from 'Oud en Nieuw Oost-Indiën' by F. Valentijn.